Nokia has announced its partnership with HMD Global who will be making the new Nokia Android smartphones and tablets. Nokias return to the smartphone market is eagerly awaited by everyone; this is precisely why the listing of companys recently spotted D1C device on benchmark site GFX Bench is likely to disappoint many. As per the listing, the D1C is a 13.8-inch Android tablet, and not a smartphone as anticipated earlier. Earlier this month, the specifications of a Nokia D1C device were leaked via benchmark site Geekbench, which interestingly, didnt provide the size of the screen on the device at the time. However, a new listing on GFX Bench clarifies the display size, and tips other specifications. The Nokia D1C listing on GFX Bench suggests that the device will sport a 13.8-inch full-HD (1080×1920 pixels) display and that it will be powered by a 1.4GHz octa-core processor coupled with 3GB of RAM. It also tips that the tablet will run on Android 7.0 Nougat. Nokia D1C is expected to come with an inbuilt storage of 16GB. In terms of optics, the tablet has been tipped to pack a 16-megapixel rear camera and an 8-megapixel camera at the front. If real, the Nokia D1C will be the second Android tablet by the company as it has already launched tablet N1 previously. In May, Nokia signed a deal with Finnish firm HMD Global to make Nokia-branded Android smartphones and tablets for the next 10 years. Since then, leaks have suggested that the company will be coming out with two phones this year with screen sizes of 5.2-inch and 5.5-inch. The smartphones were suggested to sport 2K resolution (QHD) displays and were tipped to come with IP68 certification, which effectively means they will be highly resistant to water and dust on the similar lines to phones like the Samsung Galaxy S7 Edge and Galaxy S7. Microsoft has rolled out what could possible be the last feature update to Windows RT 8.1 devices. The update dubbed KB3033055 or Windows RT 8.1 Update 3 among other improvements and features, adds a Start menu to a range of devices including Surface RT, and Surface 2 RT tablets. The Start menu looks similar to its Windows 10 counterpart, and while Microsoft has not made any announcement about the rollout, this could be what the Redmond giant had promised for the platform back in January – bringing some Windows 10 features to Windows RT. Windows RT 8.1, a stripped down version of Windows 8.1 for tablets and laptops running ARM-based processors, has largely remained uncared for ever since its inception. This is precisely why the newly rolled out update is so interesting. The new update offers Windows 10-esque Start menu to the operating system – with icons of legacy apps placed on the left side, and modern apps icon placed on right. The Start menu, however, doesnt offer power-off icon and it also lacks settings option. Its an optional addition, do note. Those who are happy with the Start Screen, can continue to use it. In addition, the update also makes changes to the logon screen, adding support for circular profile images. While this update wont affect a lot of users, it is still a nice addition for users rocking the Surface, the Surface 2 RT, the Nokia Lumia 2520, the Asus Vivo Tab RT, and the Dell XPS 10 tablets. To snag the update on your computer, fire up Windows Update on your device (search for it on Start Screen) and check for the update. This unfortunately is likely the last major update Windows RT devices will get as Microsoft has previously confirmed that it wouldnt be offering Windows 10 to the said lineup. Nokias N1 tablet, which was first announced back in November and then launched first in China via Foxconn in January, will finally be made available in other countries soon. To begin with, the tablet was launched in Taiwan on Tuesday and is expected to be made available soon in other Asian countries as well. 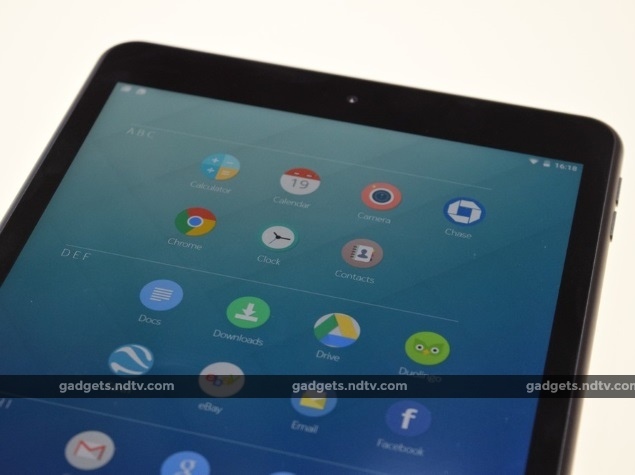 It has not been confirmed as to when the tablet will reach India. The Nokia N1 is the companys first mobile product after the Microsoft acquisition, which forces the Finnish company to no longer use the Nokia brand on smartphones till Q4 2016, and on feature phones for 10 years. On the specifications front, the Nokia N1 features a 7.9-inch (2048×1536 pixel) IPS LED-backlit display protected by Gorilla Glass 3; a 64-bit 2.3GHz Intel Atom Z3580 processor (4 cores, 4 threads) coupled with a PowerVR G6430 GPU; 2GB of LPDDR3 (800MHz) RAM; 32GB of inbuilt storage (non-expandable); an 8-megapixel rear autofocus camera; a 5-megapixel fixed focus camera; 5300mAh battery, and the predictive Nokia Z Launcher interface on top of Android 5.0 Lollipop. Connectivity options on Nokia N1 include Wi-Fi 802.11 a/b/n/ac with MIMO, Bluetooth 4.0, Micro-USB with reversible Type-C connector, and a 3.5mm audio jack. There have been several reports in the recent past that Nokia will be making it return to the smartphone market by late-2016 following the end of its brand-use restriction. The company however denied the reports soon after. We were afraid that Nokias glory days were well and truly over, when it announced the sale of its entire handset business to Microsoft. The Finnish giant defined generations of mobile devices, especially in India. As we moved from basic bricks that made only voice calls to smartphones with cameras and Internet connections, chances are we all owned a number of Nokias along the way. As it turns out, we might not have to wait much longer to own a Nokia product again. Even though it struggled for years and then made a string of poor decisions leading to the sellout to Microsoft, Nokia has now demonstrated that it has no intention of getting out of the consumer product space and letting its brand die. Licensing terms might not allow it to sell smartphones for some time, and so we have the remarkable new N1 tablet leading the charge. Nokia is showing off the N1 at its booth at the Mobile World Congress, currently under way in Barcelona. The N1 is already shipping in China, but Nokia wont say anything about when it might launch anywhere else other than the fact that it is committed to launching it in Europe next. It costs the equivalent of $249 (roughly Rs. 15,500) and, says the company, it is highly in demand. It feels as though a part of Nokia has always wanted to release this tablet. Judging by its fit and finish, it seems to have been in development for a long time. Foxconn is the manufacturing partner and it should be no surprise that there is an Apple-level air of quality to it. The whole thing is made from a single block of aluminium and there are no seams or joints. In terms of looks, the Nokia N1 is most like a first-generation iPhone, with rounded edges and corners but flat on both sides. Its available in two colours, Lava Grey and Natural Aluminium. The finish is anodized so it offers a grip but still feels smooth. There are no slots or panels for SIM and microSD cards – the N1 is Wi-Fi only and its storage cannot be expanded. At 6.9mm thickness and a weight of 318 grams, this is a very portable, yet physically strong tablet. The buttons on the sides, camera in one corner of the rear and even the positioning of ports and speakers feel strongly inspired by Apple, yet also complement the designs of phones such as the Nokia N9. In fact there are a lot of Apple-inspired touches even beyond the design. Nokia is clearly positioning the N1 as an inexpensive alternative to the iPad mini 2. Fascinatingly, Nokia uses the USB Type-C connector for charging and data. This is the first example weve seen of a shipping product with the new, reversible standard. Nokia has styled the port on the bottom of the N1 to look just like one of Apples Lightning ports. Interestingly, only USB 2.0 speeds are supported, whereas most Type-C implementations will support USB 3.1 speeds when the standard becomes widespread. The tablet is powered by a 2.3GHz Intel Atom Z3580 processor and has 2GB of RAM. Only a 32GB storage configuration is available, and so we hope that larger capacities are planned for when the N1 launches in other parts of the world. The screen has exactly the same size and resolution as the iPad mini 2: 7.9 inches diagonally and 1536×2048 pixels. The panel is laminated onto Gorilla Glass 3, which means there is no air gap and everything looks rich and crisp. Wi-Fi b/g/n/ac and Blutooth 4.0 are supported. Theres a 5300mAh battery for power. The rear camera has a resolution of 8 megapixels and supports 1080p video recording, while the front camera is 5 megapixels. There is no flash. The other big story is the Nokia Z Launcher, which runs on top of Android 5.0. This is the companys main attempt at differentiation. First of all, it looks fantastic. Text is crisp, colours are muted yet elegant, and everything is smooth and responsive. By default you see a grid of 12 icons, but can swipe left to pull up an alphabetised grid of all app icons. The homepage grid refreshes itself periodically and learns your habits, so for example the options displayed around the time of your morning commute will not be the same as the ones shown later in the day. You can also simply scribble letters on any part of the screen to start searching for apps – this is incredibly fluid and is much quicker than tapping in a search field and then tapping letters. In fact its like having a keyboard permanently available for quick shortcuts. Anyone who doesnt like Z Launcher can switch to stock Android, and anyone who absolutely loves it can also download it for their Android phone. Nokia hopes people will come to see the N1s hardware and software as unified. 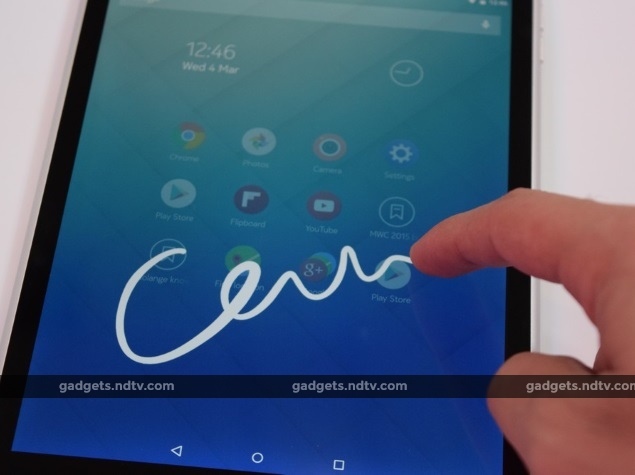 We think the N1, despite its unoriginal design touches, is a fantastic tablet. We look forward to testing its screen, performance, cameras, and more in more suitable conditions when it is launched in India. We dont know any dates but it is coming at some point – Nokia reps made a point of telling us that they are aware of the brands power in India and have no intention of letting it slide into obscurity. Disclosure: Nokia was showcasing its products at MWC 2015 in Barcelona. Qualcomm sponsored the correspondents flights and hotel for Barcelona. 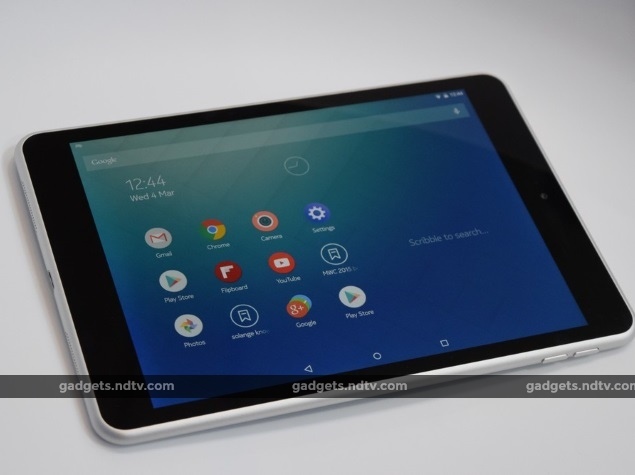 After reports that the first flash sale in China for the Nokia N1 saw 20,000 units being sold in 4 minutes, it appears as if similar success was seen enjoyed by the Foxconn-manufactured Android tablet in its second flash sale on Thursday. Unlike the previous report, no numbers about how many units or how much time it took accompany the second Nokia N1 flash sale, beyond the claims that the inventory was sold out in just a few minutes but took longer than the last sales four minutes and 2 seconds. NokiaPowerUser credits a tipster with the swift-selling figures for the second Nokia N1 tablet flash sale. The next flash sale for the Nokia N1 is on January 22, and there is no word yet on how many units will go on sale. Nokia announced the N1, its first Android tablet, back in November with a suggested retail price of $249 (roughly Rs. 15,400). The tablet is initially only available in China, with Foxconn licensed to manufacture, distribute, and sell it. It has been priced at CNY 1,599 (Rs. 16,000 approximately), and is expected to reach other markets, starting with Europe, soon. 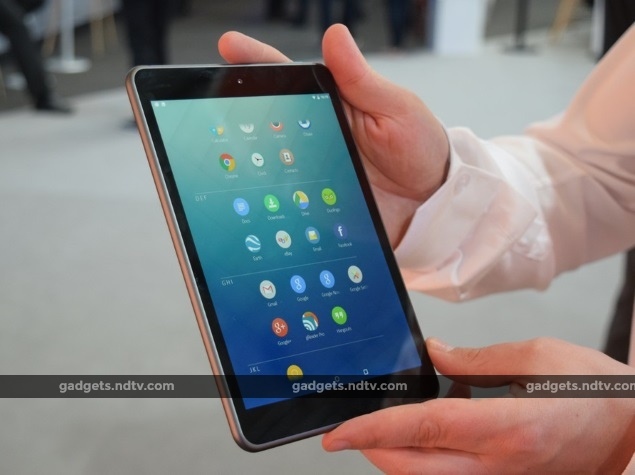 The Nokia N1 features a 7.9-inch (2048×1536 pixel) IPS LED-backlit display protected by Gorilla Glass 3, and is powered by a 64-bit 2.3GHz Intel Atom Z3580 processor (4 cores, 4 threads) coupled with a PowerVR G6430 GPU and 2GB of LPDDR3 (800MHz) RAM. It sports 32GB of inbuilt storage (non-expandable). The tablet bears an 8-megapixel rear autofocus camera with 1080p video recording, and a 5-megapixel fixed focus camera. Connectivity options on the Nokia N1 include Wi-Fi 802.11 a/b/n/ac with MIMO, Bluetooth 4.0, Micro-USB with reversible Type-C connector, and a 3.5mm audio jack. 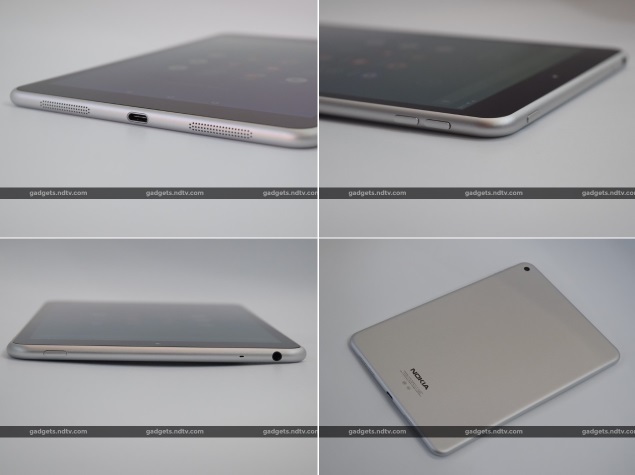 The Nokia N1 tablet weighs in at 318 grams, and measures 200.7×138.6×6.9mm. Also onboard are 0.5W stereo speakers, and a 5300mAh battery. For sensors, it sports a 6-axis gyroscope and an accelerometer.